In this new Diversity Initiatives series, we'll be highlighting cool, inspiring, and replicable programs that are happening in SCBWI chapters around the world towards making children's literature more diverse, both the characters and the creators! 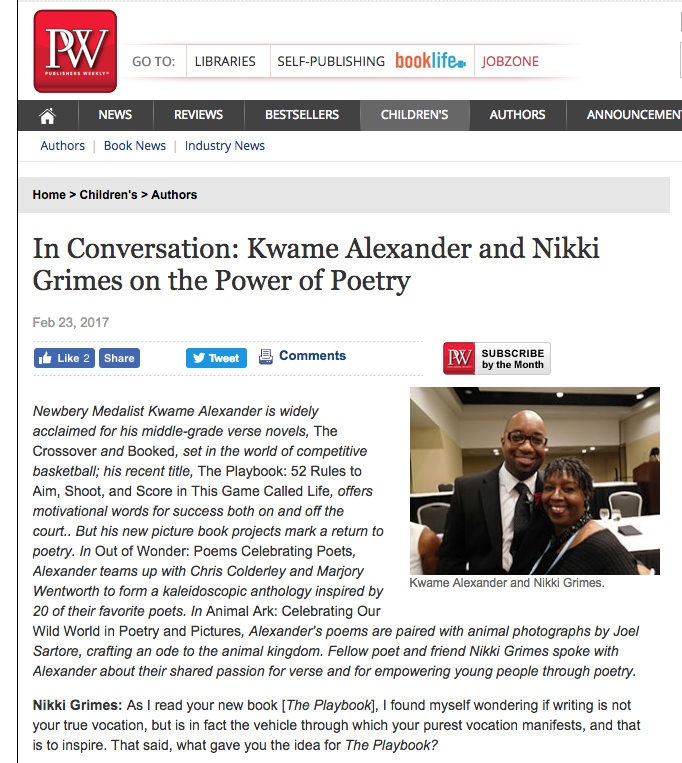 SCBWI-IL has launched several initiatives in the past couple of years aimed to support diverse writers and illustrators. 2017 is the inaugural year of our new program, Diverse New Member Pathway. 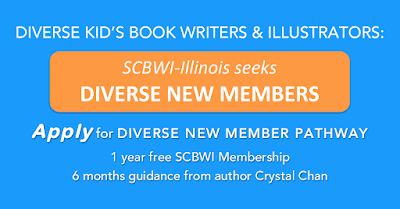 This outreach initiative gives members of underrepresented groups in the larger Illinois writing community, the opportunity to win a one year membership to SCBWI. In addition, the new member gets the benefits of having a peer guide to help them garner the most of their membership. Our 2017 Diverse New Member Pathway Peer Guide is Crystal Chan, author of Bird. 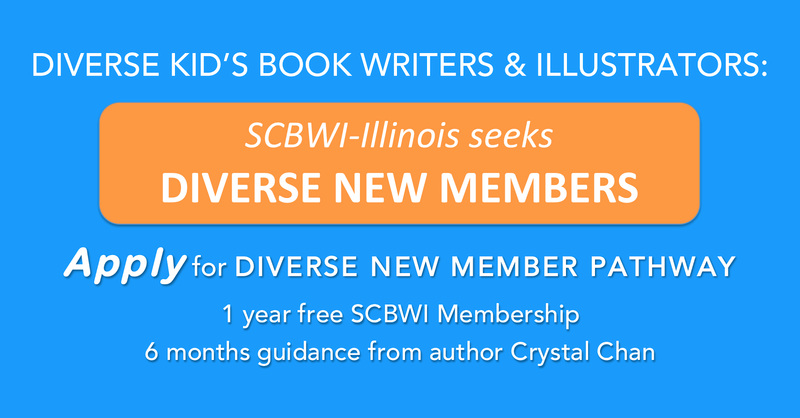 During a six month time frame, Crystal will meet with the new member, answer questions about SCBWI events and opportunities, attend a SCBWI-IL event with the new member, and help them connect with their closest Illinois Network. 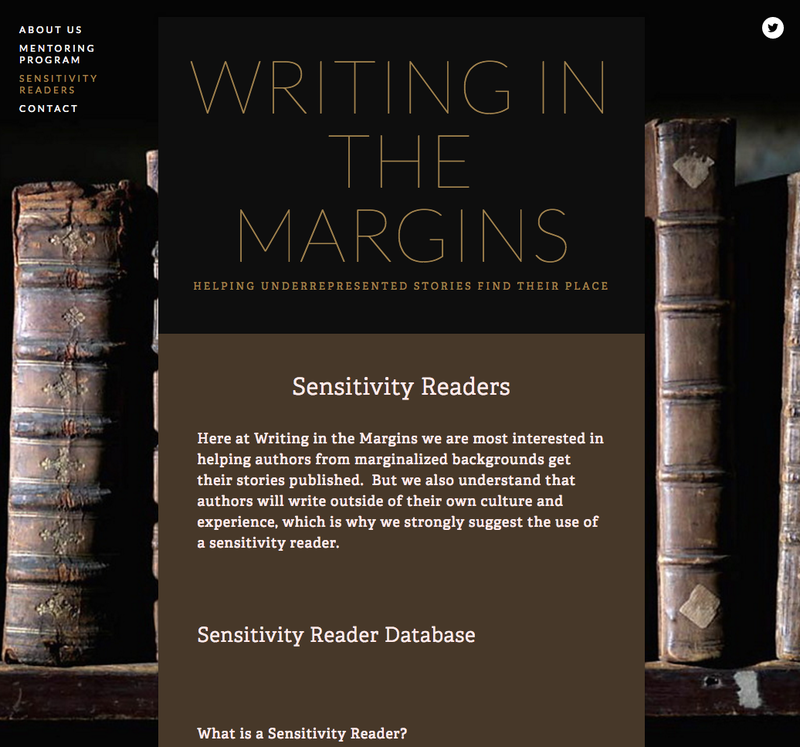 Our primary goal is to make the new member feel at home and to help forge a relationship with a seasoned writer that can aide them on their path. When forming the DNMP, the diversity committee recognized that joining such a large organization as SCBWI can be overwhelming and complex to navigate for new members. 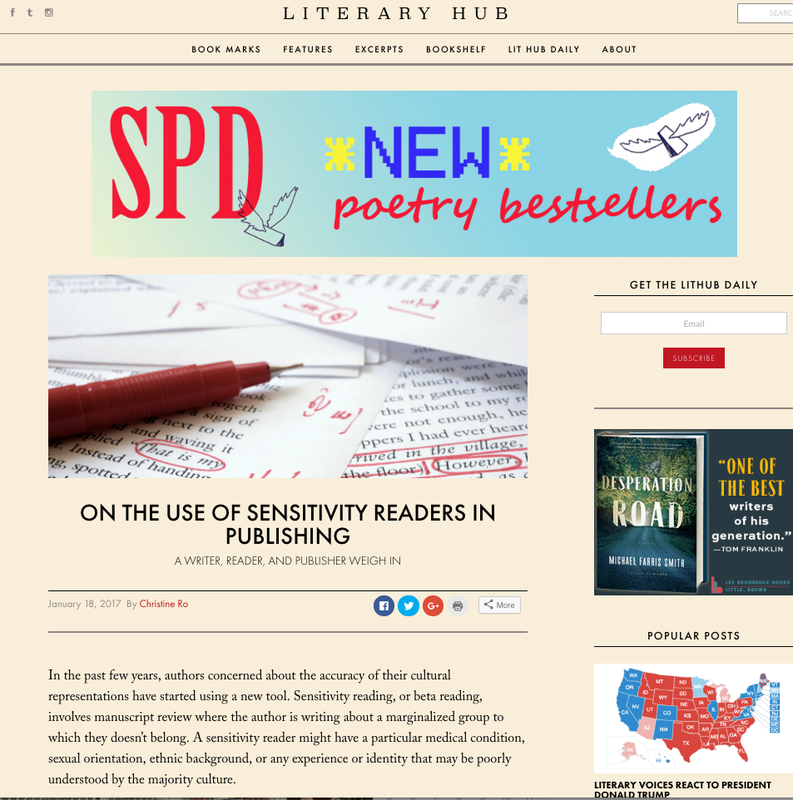 We also realized these feelings can be multiplied for people in groups who are not typically represented in the publishing industry. For me, forming connections with other writers and illustrators is the best part of being a member of SCBWI, so it's important to make our members feel like they have a place in our organization. You can find out more about the Diverse New Member Pathway initiative here, and if you're an Illinois-region writer and/or illustrator who wants to apply, note the submission deadline is March 15. We learn about The Golden Shovel form of poetry, hear the latest on Kwame and Nikki's books coming out and in-the-pipeline, and hear them speak from the heart on the power of hope and poetry. The whole article is well worth reading! 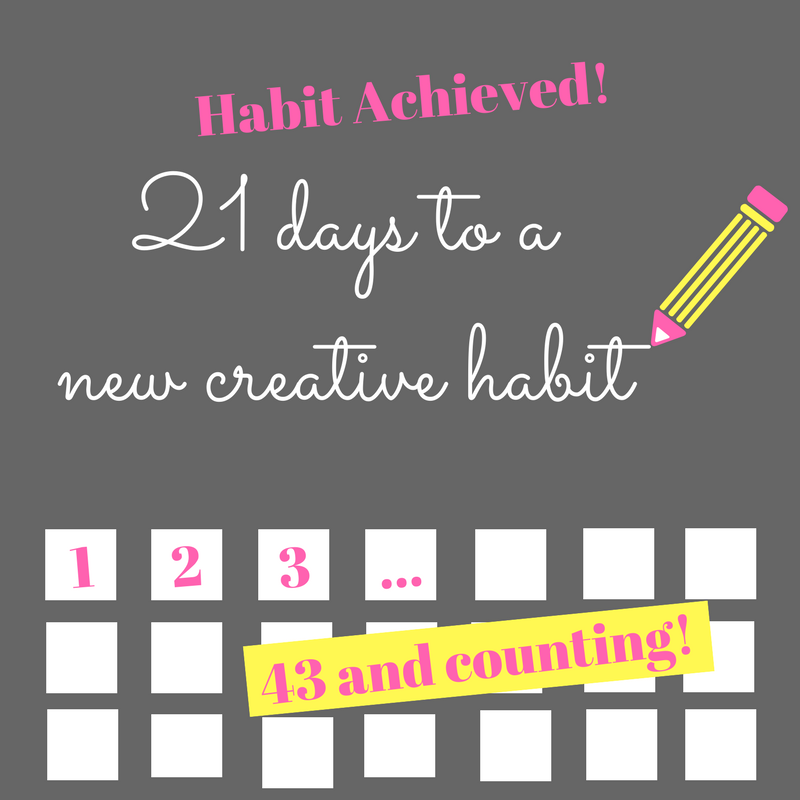 Back on January 10, 2017, I asked, What's Your New Creative Habit Going To Be? 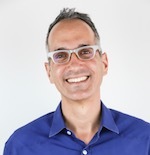 Leveraging the science that 21 consecutive days of doing something helps it to become a habit, I shared that my own goal was to write for at least an hour every day. 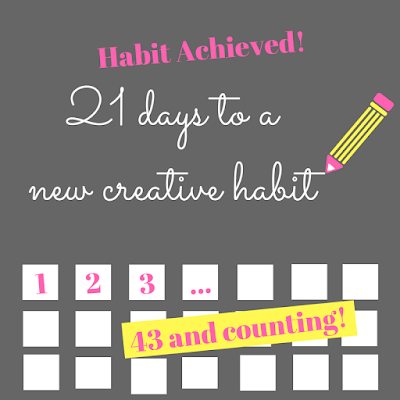 Your 21 days to a new creative habit can start any time, even today. Christine Ro interviewed author Becky Albertalli (Simon vs. the Homo Sapiens Agenda), sensitivity reader Sangu Mandanna, and publisher Stacy Whitman (Tu Books), who together give a good picture of sensitivity reading, with lots to consider. 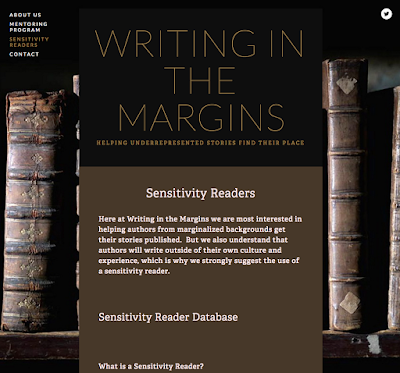 The article also recommends "Writing in the Margins" which has a Sensitivity Reader Database (from which Christine found Sangu Mandanna for the article. NEW FOR 2017: @scbwi's nat'l (& internat'l!) BOOKS FOR READERS initiative, getting 📚 to the kids who need 'em. "Give Books. Build Dreams." Tomie dePaola at #ny17scbwi (2/2): The courage to do it in the first place, and to do it again, and again and again. And bit of good luck. What moments are still resonating for you? And check out all the conference blog posts here. 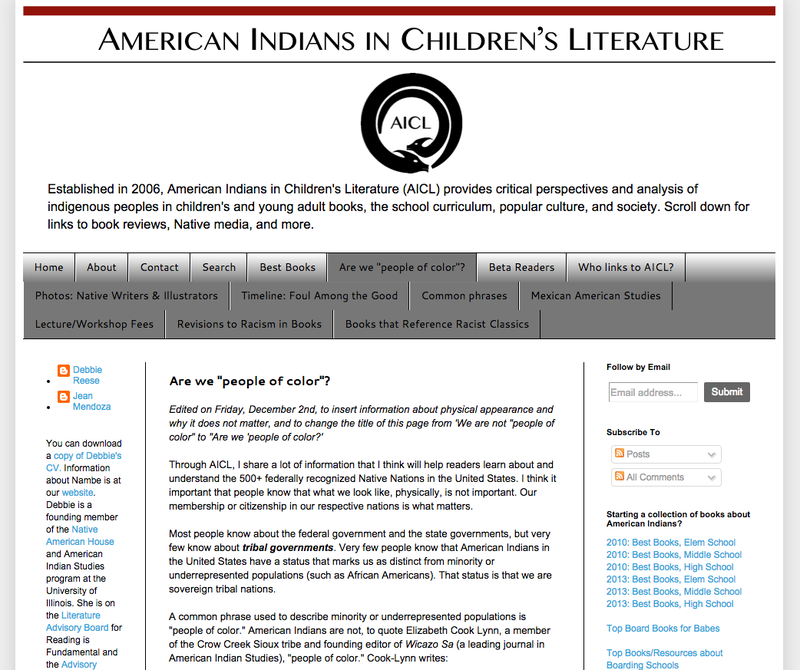 It came up this week, and to understand it further, a friend pointed me to Debbie Reese's indispensable "American Indians In Children's Literature" blog and the essay, Are we "People of Color?" She goes on to say that placing us within a multicultural or ethnic studies category has a negative effect because those categories obliterate our political difference. The political dimension she refers to is our status as sovereign nations, a distinction based on treaty and trust agreements made between early European nations who came to what we now call the United States, and, later agreements made between the United States and Native Nations. The entire piece is well-worth reading. We don't know what we don't know. But we can (and should) be open to learning, and to growing, and to listening. Particularly when we're discussing diversity and representation, listening to people share about their own identity and experience is key. 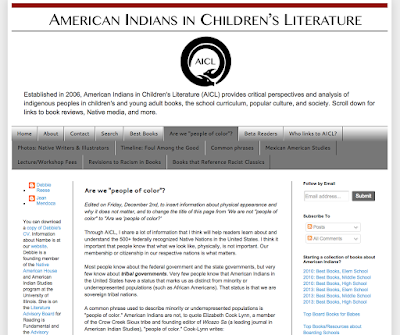 I've used "people of color" in the past, thinking that I've been including Native people within that category. Now I know better, and how to be more respectful. And I'm grateful for that. 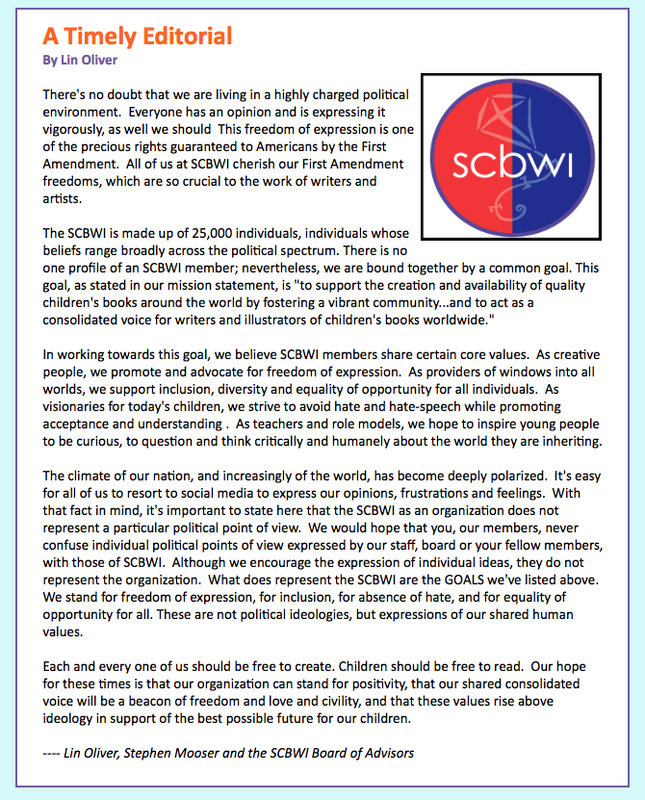 SCBWI stands for freedom of expression, for inclusion, for absence of hate, and for equality of opportunity for all! There's no doubt that we are living in a highly charged political environment. Everyone has an opinion and is expressing it vigorously, as well we should. This freedom of expression is one of the precious rights guaranteed to Americans by the First Amendment. All of us at SCBWI cherish our First Amendment freedoms, which are so crucial to the work of writers and artists. 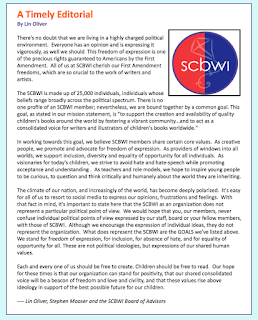 The SCBWI is made up of 25,000 individuals, individuals whose beliefs range broadly across the political spectrum. There is no one profile of an SCBWI member; nevertheless, we are bound together by a common goal. This goal, as stated in our mission statement, is "to support the creation and availability of quality children's books around the world by fostering a vibrant community...and to act as a consolidated voice for writers and illustrators of children's books worldwide." In working towards this goal, we believe SCBWI members share certain core values. As creative people, we promote and advocate for freedom of expression. As providers of windows into all worlds, we support inclusion, diversity and equality of opportunity for all individuals. As visionaries for today's children, we strive to avoid hate and hate-speech while promoting acceptance and understanding. As teachers and role models, we hope to inspire young people to be curious, to question and think critically and humanely about the world they are inheriting. The climate of our nation, and increasingly of the world, has become deeply polarized. It's easy for all of us to resort to social media to express our opinions, frustrations and feelings. With that fact in mind, it's important to state here that the SCBWI as an organization does not represent a particular political point of view. We would hope that you, our members, never confuse individual political points of view expressed by our staff, board or your fellow members, with those of SCBWI. Although we encourage the expression of individual ideas, they do not represent the organization. What does represent the SCBWI are the GOALS we've listed above. We stand for freedom of expression, for inclusion, for absence of hate, and for equality of opportunity for all. These are not political ideologies, but expressions of our shared human values. Each and every one of us should be free to create. Children should be free to read. Our hope for these times is that our organization can stand for positivity, that our shared consolidated voice will be a beacon of freedom and love and civility, and that these values rise above ideology in support of the best possible future for our children.